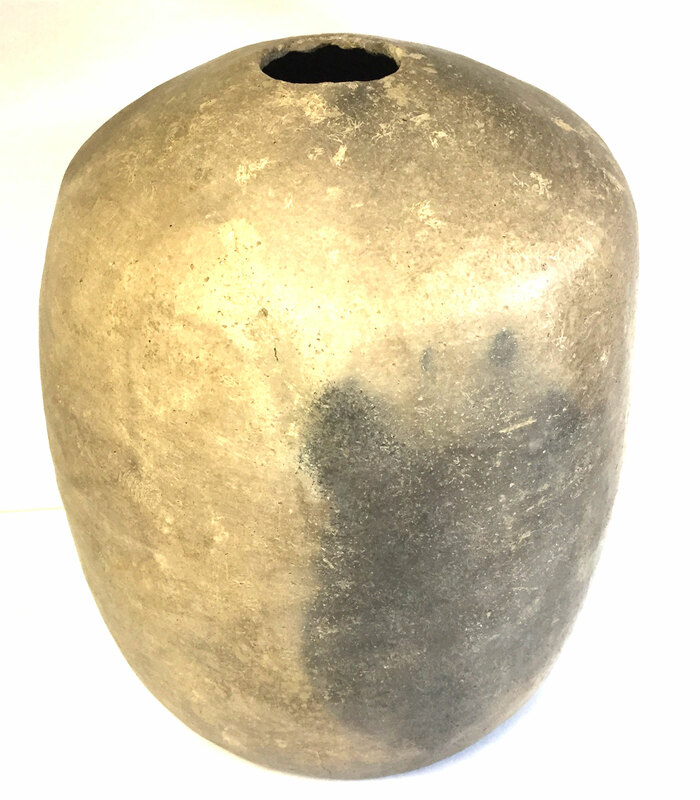 A Rare, Large Size, Nicely Anciently Firemarked, Visibly Aged, Caddoan Seed Jar That Exhibits Visible Ancient Exterior Coiling Manufacture, Heavy And Very Frequent Exterior Surface Rodent Markings, Aged Hole Use Wear, Correct Surface Coiling Manufacture, Aged Surface Shell Grog Mixture, Aged Open Pit Firing And Fire Marking, Correct Material And Manufacture For The Area Found. Found By Hoy And Wilton Furr. Ex-Hoy And Wilton Furr, Ken Partain, Tom Davis, Sam Johnson And Mike Nichols Collections. This Is A Large Example, Displaying Age And Having Ancient Exterior Fire Markings. Includes A Ken Partain Certificate Of Authenticity.